Many modern parents complain they face a constant battle to drag their children away from the Playstation or television screen and keep them active. 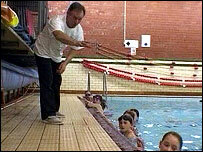 But for one village in Lancashire that task could be about to get even harder if its local swimming club is closed. Brinscall, near Chorley, which has fewer than 3,000 residents, boasts one of the oldest public swimming pools in the country, built in 1911. Withnell Swimming Club has trained there for 58 years, but is facing closure because it cannot find new qualified coaches. 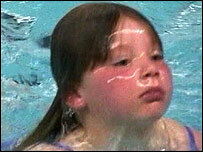 Parents and club members fear that could spell the end for the swimming pool too. Club committee member Gary Rae said: "This club has been teaching boys and girls to swim for more than 50 years and it would be an absolute travesty if it were to close. "We've got three coaches leaving who have almost a century of experience between them and they will be sorely missed. "A swimming club is important to a place like Brinscall - it's a place to socialise and helps keep children fit and healthy, as well as giving them a skill for life. "There isn't a lot else for young people to do here, and if it did close I don't know what would happen." He added: "We're also a major customer of these swimming baths and, if the club goes, we're worried the baths could go too. "This is a small village and they could lose a lot of income, were we to close." The Edwardian baths were built by local mill owners, the Park family, as a gift to their workers and are believed to be the third oldest surviving baths in the UK. Complete with poolside changing cubicles, they are a throw-back to the days of full bathing suits. Chorley Council, which runs the baths, insists it has no plans to close them and is looking to invest money to upgrade them and secure their future. But despite this, many parents remain fearful. 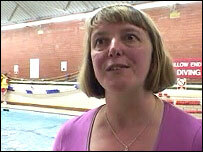 Cath Townsend, whose children swim at the club and also helps out with administration, said: "It would be quite devastating really, having been involved with the club for at least seven years now with the children. "The children have made lots of friends at the club and also it's given them a life-saving skill in being able to swim." Coach Mike Cawood, who is among those leaving after 30 years, said the job was enjoyable, but required a big commitment. He said: "I've had about 3,000 best memories over those years - a child taking its first length, after weeks, months, a lot of cajoling. "But when that child takes its first length, it's unbelievable - it's a big, big kick." He added: "My youngest daughter is 21, and I was actually here when the wife went into labour. It didn't go down too well. "But it's not just been 30 years for us three coaches, its been 30 years for our partners and they've been fantastic." "Boys and girls have been learning to swim here for 58 years..."